Currently, the usage of electronic gadgets has surged in a huge way that these devices are like the part of an individual’s life. Computer, Laptops, tablets, smartphones and much more have become the most essential and basic amenities for not only a professional guy but also a common working man. Most of us might be aware of the amazing entity of a computer is that we can run it on any operating system especially Windows. Usually, people purchase a computer or a laptop for handling some educational or professional work. One of the amazing things in Microsoft Windows is the package that helps you write, prepare a slideshow presentation, make an excel sheet and much more. Likewise, there is a Notepad for you to assist like a scratch pad which would be very helpful for noting some important numbers or address in a rough way. A notepad can also be used in a number of ways which you might not be aware. Are you feeling bored using the same old things on your computer? Here are some tweaks and tricks that can be done on your system on the laptop so that you can have much fun using them on your device. 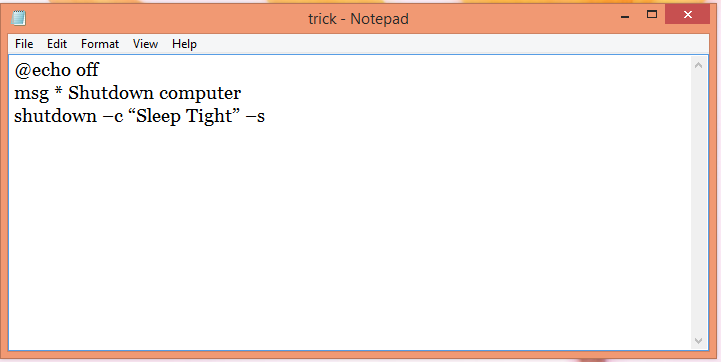 Check out the simple tricks and tweaks of Notepad that you must give a try. Take a look! 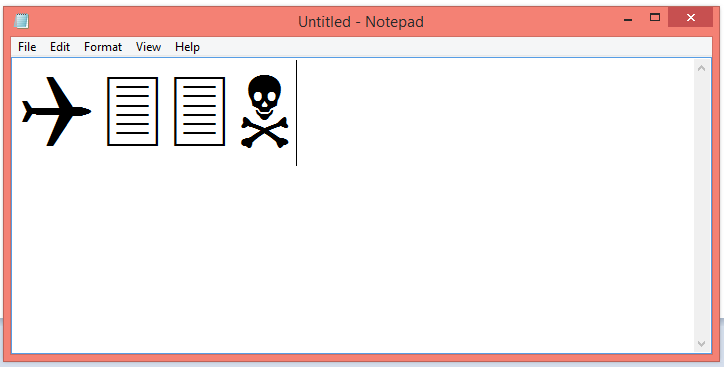 Notepad is a simple text editor which is offered by the Microsoft’s windows operating system. Generally, we make use of notepad for typing purpose and save the files to keep the record of important things. Sometimes, the Notepad can also use by web designers and programmers for coding purpose. It supports several different types of extensions. Usually, people consider notepad just as a text editor but it is something more than that. In this article, you can find simple and most interesting tips, tricks and features which are accessible via notepad. We can even use notepad as a powerful tool to control and manipulate computer programs and services. By using these tips and tricks, you may prank and make fun with your friends. Check it out! In the first line, type .LOG. Now save this file as a .txt file. Then, write something on the notepad and again save the file. Close the saved file and when you open it then, you will notice it being saved with the edited time as well as the date. This is a notepad trick which you will find helpful many times. There come many times when you are not able to shut down your computer using the shutdown button, in that case, you can use this trick to shut down your PC super-fast. In the first line, type @echo off. Save this file with a .BAT extension. In order to save the file with the .bat extension, you have to select file type as All Files from the drop-down menu. The next time when you click on this file, Windows will get shut down automatically. 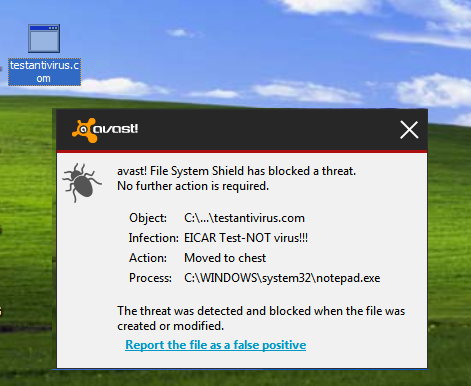 Once you save this file, your anti-virus program will detect the file (virus) immediately and will attempt to delete it. If this happens then your Antivirus is working properly. If not, then it’s time to look for some other reliable program. It is not necessary to make use of some folder locking software when your simple text editor, Notepad can lock your folders. It is quite important to protect your folder with a password and it could be profitable so many times, and depending on software can get you down anytime as there are so many password manager software out there which uploads data on their servers, so that kind of software can’t are not safe when keeping security in mind. To lock folders using notepad, you can follow the below steps. Open a new document in notepad. Now copy the below code into the new Notepad document. You will get a default password as “123456789”. Just change this with your own new password. Select File Type as All Files (*. *) and save it as private.bat. 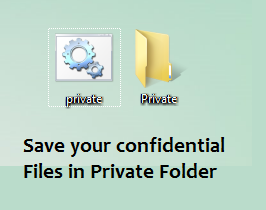 When you click on the private.bat shortcut, it will create a private folder. You can move all your confidential files here. Once done, close the Private Folder. Now, no one will be able to access this folder without knowing the password. Just copy and paste this command into the notepad. Now, save the file as speak.vbs. You can either save the file type as All files. Double-click the file and it will open a prompt. Enter the sentence you want your PC or Laptop to speak. Hit OK and Notepad will speak the sentence for you. Do note that it is a notepad hack which should be performed by keeping some attention in mind. By implementing this funny notepad trick, the CD Drive of the system will keep popping out until you restart your system. 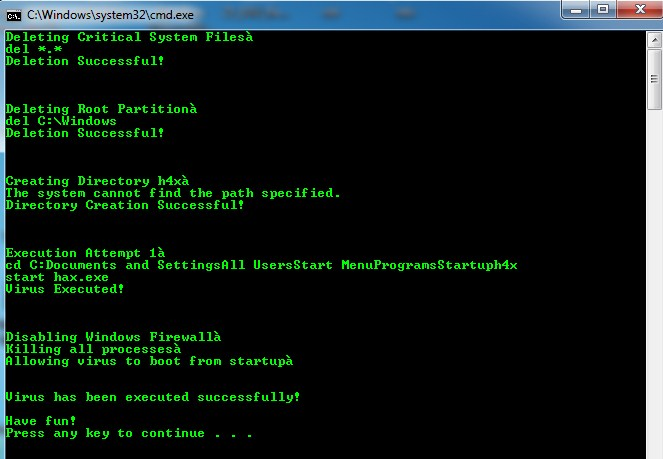 So, before doing this, make sure you have access to restart your system. Just follow below steps to do it properly. Open a new notepad file. Just copy and paste the below commands in the empty notepad file. Now save the notepad file with a .vbs extension. For doing so, simply enter thename of the file as your wish and add .vbs just after the name, and in file type option, choose All Files from the drop down menu. When you double-click on the saved file, the CD drive of the system will continually pop out. Just save the file with .vbs extension and it could be something like this, Dance.vbs. Click the file to run and all your three LED lights will start dancing. If you want to stop it then open Task Manager by pressing ctrl + shift + Esc. Now switch to process tab and search wscript.exe and terminate it. Save the file with .bat extension like Matrix.bat. That’s it. Just open the file to see the matrix effect right before your eyes! You might be knowing the attack of the World Trade Center on 9/11. The flight number of the plane was Q33NY and in this trick, you will see the same image like when world trade center gets attacked. Open the notepad and type Q33N (in capital). Now increase the font size to 72 and change the font style to Wingdings. We name this trick a contemporary or anything but it will surely surprise you and your friends. That’s it! You can now use your Text to Audio converter. Now open the saved file and key in the text you want to convert and click OK.
Firstly, open Run and type Notepad and hit Enter. Notepad will appear. Now copy the below code and paste it into Notepad. Now save the file with a .bat extension like virus.bat. Send the file to your friends and tell them to Run the file. Save the file with any name (It’s your choice) but, save it with .vbs extension and close the file. Open the file and see how it makes you type! Warning: But, this trick might be little messy that makes all your windows and current running process blink numerous times and shows the message as “You are a Fool”! So, before trying this trick, please be careful! Save the file with any name but with .bat extension and close it. Save the file with Name.vbs extension and run it. This trick disables your mouse. Click on File >> Page Setup. These are the amazing notepad tricks that make you feel interesting and share it with your friends and colleagues. Have more fun!